Technology is shaping the future of the car industry. Until the technology explosion of the last decade or so, automotive safety was measured simply by how well your car could protect you if you crashed. Seatbelts, crumple zones, airbags, crash-test scores – these were the familiar markers of safety on the road. But thanks to revolutionary advances in computing and communications, the future is now, and it's all about preventing crashes from happening in the first place. If you're curious about what's next, here are five amazing automotive safety features that could be coming soon to a dealership near you. You may have heard of high-end options like blind-spot warning systems, lane-drift prevention systems, and radar-based automatic braking systems that can avert or mitigate a frontal impact. But in the not-too-distant future, these technologies will likely come standard on the average new car, and they may even be mandatory under federal law. Why? Because if you think about common accident scenarios – rear-end collisions and drowsy driving, for example – these systems provide safeguards against each one. Haven't got your mirrors adjusted properly for lane changing? Your car monitors the resulting blind spot and sounds the alarm if you're about to cut off or sideswipe an unseen vehicle. Getting drowsy and starting to weave? Your car knows where the lane markers are and steers you back on course, issuing an audible or tactile alert in the process. Looking at your phone instead of the road ahead? You shouldn't be, but collision mitigation systems – an evolution of adaptive cruise control systems that maintain a preset distance from cars ahead – can apply up to 100% braking power if an imminent impact is predicted. Imagine how many accidents could be avoided if these technologies were in every new car on the market. We've already got "head-up display" technology that projects essential data onto the windshield, and now we're seeing night-vision cameras that can reach into the darkness and warn you of hazards like an animal preparing to cross the road. But think big here. Think science fiction. There are projects underway that aim to turn your windshield into a road-going version of Google Glass, identifying every object in your field of vision and highlighting the potential obstacles among them. With this unprecedented array of head-up data, the "augmented reality" windshield could also obviate the need to look down at dashboard displays, thus maximizing the amount of time your eyes spend monitoring the road. 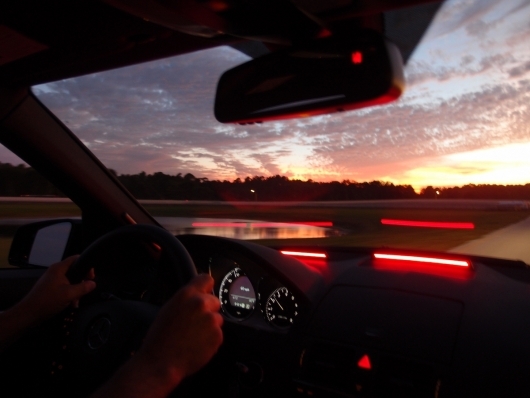 The question is whether drivers could process all of these visual stimuli while staying focused on the task at hand. What if cars were wirelessly connected to each other like computers on a network? That's the "connected car" concept in a nutshell, and it's a big deal because if your car knows what the other cars in its vicinity are up to, it can infer all sorts of useful information. If everyone's doing the speed limit or higher at a fairly constant rate, for example, then your car will give you the green light to drive as usual. But if the average speed up ahead is half the posted number, something's amiss, and you'll get advance warning so you can prepare. Or suppose a collision occurs a mile up the road; the affected cars will immediately report the event to the network, and you'll get an accident alert on the spot. In addition to the safety benefits here, there's also the potential for vastly more efficient traffic patterns as cars are rerouted based on real-time congestion reports. In addition to connecting with each other, cars will be able to hook up with real-time infrastructure maps to monitor changing driving parameters and road conditions. We can see the vestiges of this functionality in navigation systems that include posted speed limits, but it'll really take off when every public road has been uploaded to an online database that provides up-to-date information. Whether it's temporary hazards like construction zones and black ice, or permanent ones like school zones and blind corners, you'll be clued in well before it's time to react. In theory, there's no limit to how comprehensive these alerts can be, and each additional layer should help reduce the element of surprise – a major factor in accident risk. Incorporating likely all of the above features along with a colossal innovation – auto-pilot capability – the self-driving car is either the ultra-safe future of daily transportation or a threatening case of technology run amok, depending on whom you ask. 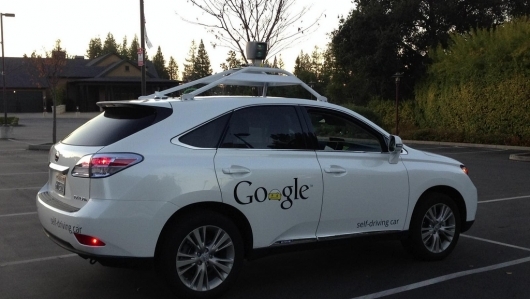 Google has been testing self-driving Toyota Priuses for a few years now with zero at-fault accidents, and outside of Silicon Valley, the German automotive-supply giant Continental AG has had similar success with a semi-automated self-driving system that should hit the market in select models within the next few years. Word is that Continental's system will deactivate unless you keep your hands on the wheel, so we're still a ways off from the sci-fi fantasy of “driversâ€ sipping lattes and fiddling with their iPads. Still, three states have already legalized fully self-driving cars for testing purposes as of 2013, so it's not that far-fetched to expect production-ready models within the next decade. As proud as many of us rightfully are of our safe driving records, we're only human, which means we're always a single mistake away from tragedy. Advancements in safety technology promise to mitigate or outright eliminate human fallibility on our roads in the near future, and that's the kind of progress that we think everyone can get behind.